Events in Napa in December 2018 include the start of Winter in the Wineries, the Reindeer Run, and Calistoga's Holiday Village. Other fun things to do include seeing a show at the Blue Note or the Uptown Theatre. This month, you will also find some parties at local wineries that feature food, wine tasting, and holiday discounts. Don't miss out on these fun things to do in the Napa Valley. You will find a variety of fun events in Napa in December at the Uptown. These are just a few of the top shows this month. The downtown Calistoga Lighted Tractor Parade is one of the many events in Napa in December with a lot of small town charm. Unlike your average parade with floats and trailers, this one truly celebrates the region's agricultural heritage, featuring a variety of vintage and modern tractors, trucks, and construction equipment, all decked out. Even Santa Claus enjoys this unique holiday tradition in downtown Calistoga. You will find plenty of fun evening events in Napa in December at the Blue Note. This live jazz club features well known acts from around the region and beyond. You can grab dinner during the show or just enjoy the music. It's set in the gorgeous downtown Napa Valley Opera House. The annual Reindeer Run features both a 3-mile and 6.5-mile walk/run for people to get outside and into the holiday spirit. Pre-registered participants will get a T-shirt, digitally recorded time, and a goodie bag. This fun family event starts at 9am at the Wetlands Edge View Area Trailhead in American Canyon. 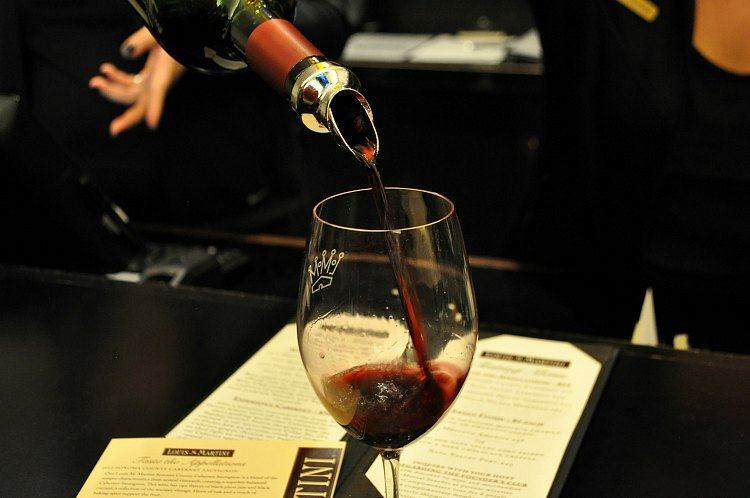 For a two-month period in the winter, you can use your Winter in the Wineries Passport to gain access to 17 wine tastings at a variety of selected boutique and well-known wineries in Calistoga. Each passport is valued at an estimated $300, and includes not only discounts on wine and wine tastings, but shopping, lodging, dining, and more. 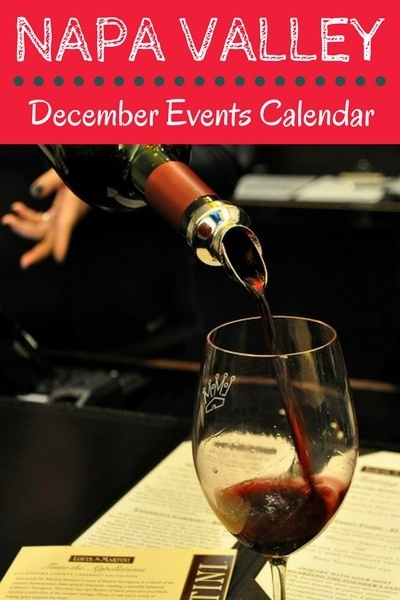 My calendar of wine tasting events in Napa in December includes some of the top options this month. You will find a variety of open houses as well as some that require tickets in advance. Find some great places to stay in the Napa Valley. You will also find some good deals this time of year at hotels, resorts and bed & breakfasts. Click the links below for recent guest reviews as well as some great options this month. Booking.com: Save on your Hotel in Napa with Booking.com, Planet Earth's #1 Accommodation Site. No booking fees ever! TripAdvisor: What's the #1 hotel in the Napa Valley? Read reviews & find hotel deals on TripAdvisor! This holiday season head to Yountville for their six-weeks of activities. Events include wine tasting, visits from Santa, carriage rides around town, and so much more. Each week offers a variety of fun activities. You will also find some good tasting deals around Napa in December. You will find a good selection on Groupon. Click the links below for more information on each offer.